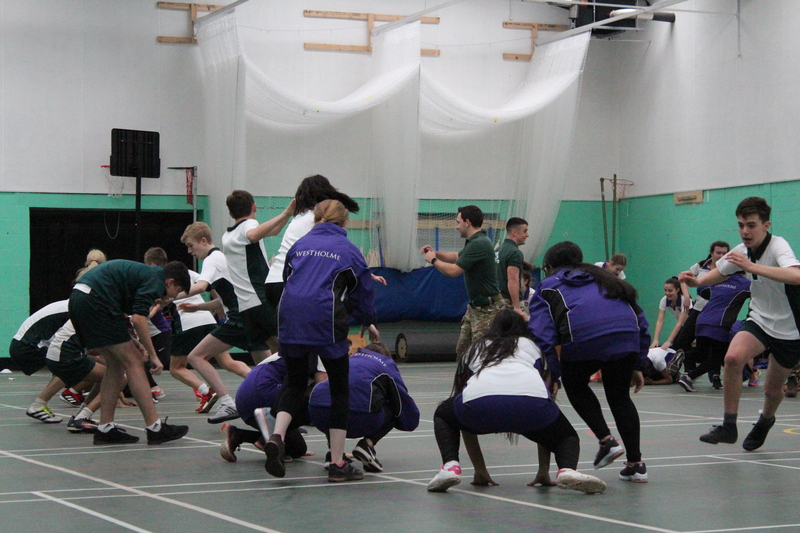 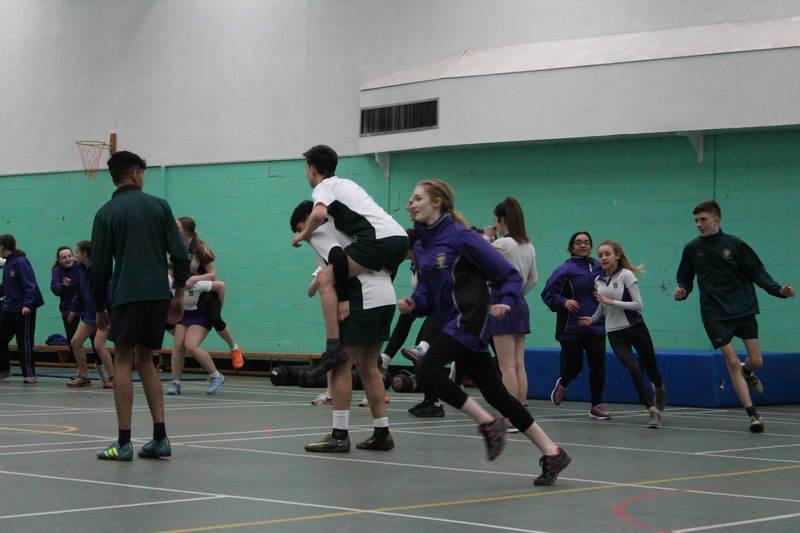 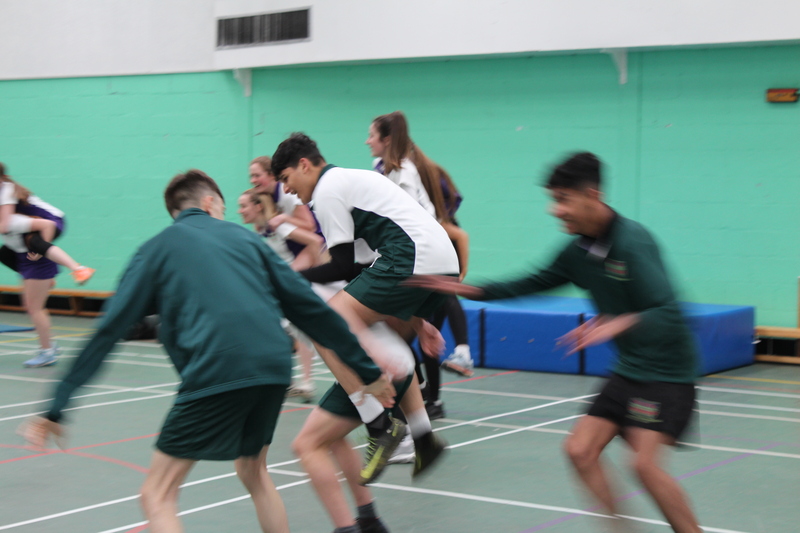 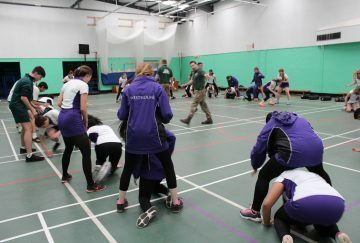 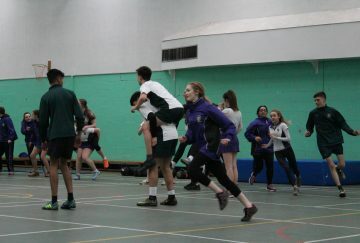 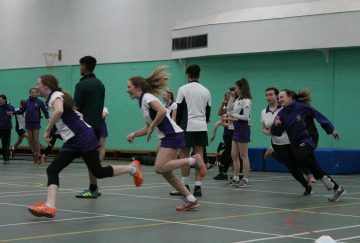 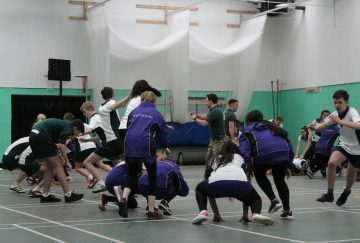 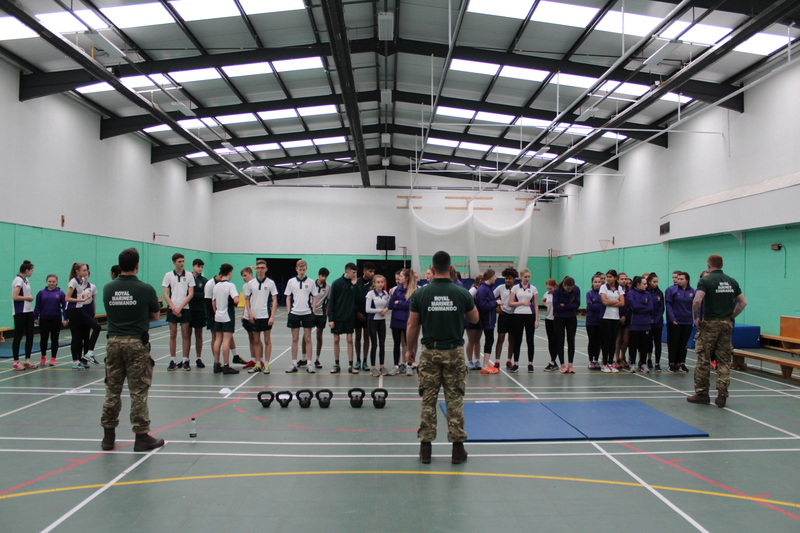 The Royal Marines put Year 10 students through their paces this afternoon. 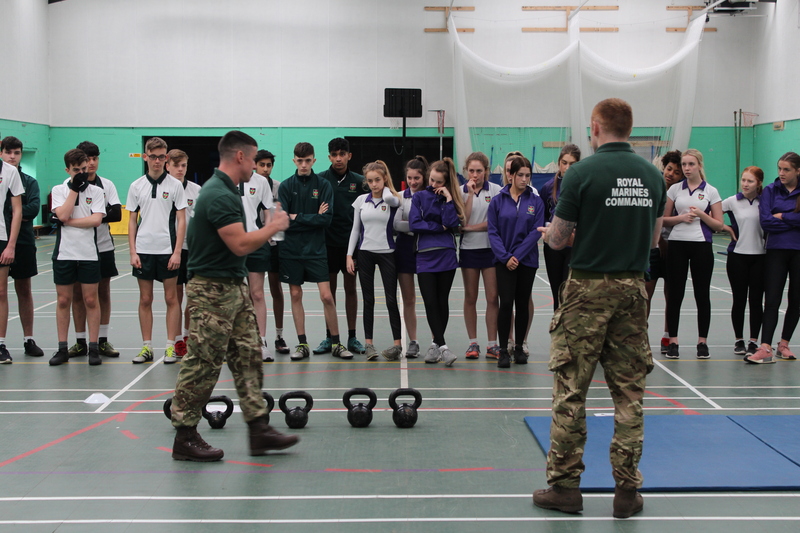 The Royal Marine Commandos gave a presentation and led a physical training session for the Year 10 students today. 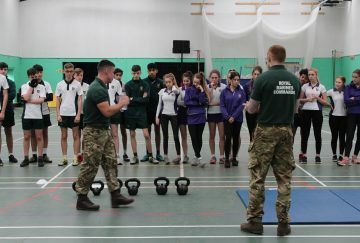 After giving an outline of their role they also explained the skills needed to become a Royal Marine Commando, for example, grit, determination, team work and leadership skills. 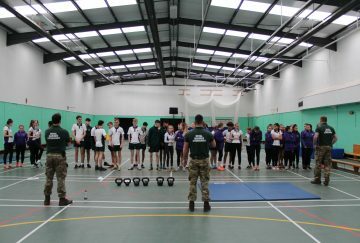 After the talk the students were put through an intensive warm up and circuit session. 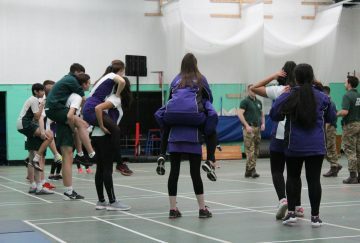 The exercises proved both mentally and physically challenging and although it was also fun, some people found that they were really pushed to their limits. 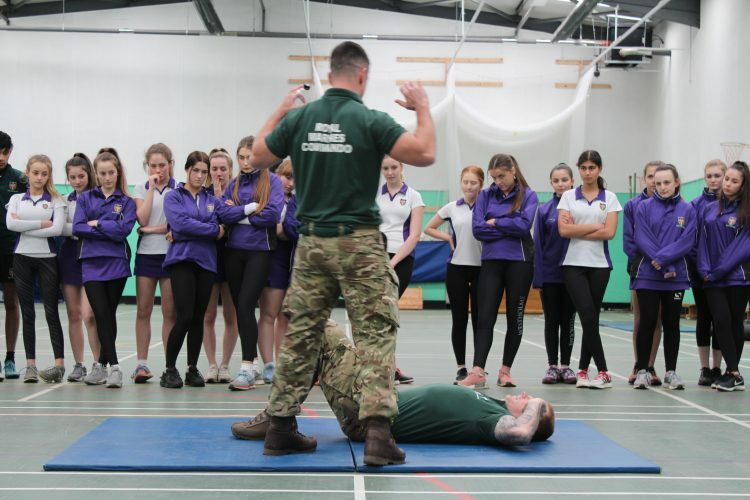 Thank you to the Royal Marines for a very informative afternoon.